(nor)If your book appears on this page, please edit your information to include the author's full name, rather than the surname only. Do NOT combine this page with any of the authors who share this surname. Thank you. Concuelo de Saint-Exupery, The Tale of the Rose: The Love Story Behind the Little Prince. ; Antoine de Saint-Exupery , The Little Prince. Antoine de Saint Exupéry is currently considered a "single author." If one or more works are by a distinct, homonymous authors, go ahead and split the author. 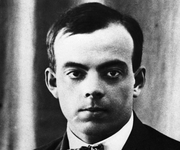 Antoine de Saint Exupéry is composed of 59 names. You can examine and separate out names.